Here at Westminster Woods, we strive to create an environment where everyone feels loved and accepted and is challenged to grow while connecting with nature. Many of our staff work long hours to keep camp clean and functioning, serve nourishing meals, and deliver quality programming to campers, students, teachers, and guests throughout their stay. In 2018, we had the honor of seeing this hard work reflected in our guests’ feedback. 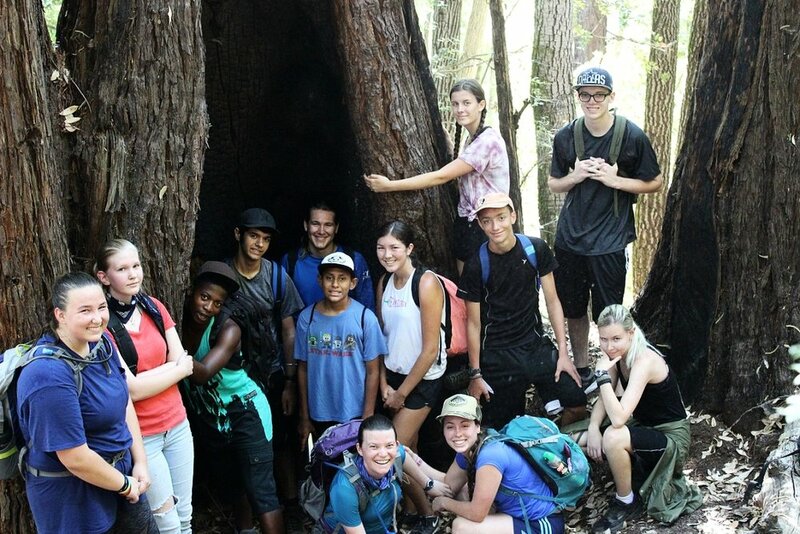 A high school camper shared, “This is my favorite place.” A parent wrote that the school program she attended was, “The best education program I’ve experienced (and my oldest child is 22).” And the community voted us Sonoma County’s Best Summer Camp in our local newspaper, the Santa Rosa Press Democrat! It is because of support from the people who love this place that we are able to attract exceptional staff, to provide experiences that help people deepen their spirituality and build community, and to focus on embodying our mission. Thank you for helping Westminster Woods flourish. Westminster Woods celebrated another financially sound year, thanks to the continued efforts of board members, staff, and donors. We ended 2018 with a net gain of $93,000 of revenue after expenses. We encourage you to make supporting our camp a regular part of your planned giving. Whether you contribute monthly, quarterly, annually, or include the Woods in your estate plan, your tax-deductible gift will make a difference in the lives of kids, teens, and adults in 2019 and for years to come. Here’s a glance at our 2018 revenue sources and how our expenses were allocated. Note that revenues from our Challenge Course program are included under income for School Programs, Guest Groups, and Ministries. Westminster Woods will be hosting the Spring AEOE Conference this year! What is AEOE? The fun-to-say-quickly acronym stands for: the Association for Environmental and Outdoor Education. It is a volunteer-run nonprofit whose goal is to serve outdoor and environmental educators in California. I am super psyched that we are hosting AEOE Spring Conference here at Westminster Woods: with our outstanding challenge course, our delicious food, and our beautiful creek and forest, there is something here for everyone to enjoy. I’ve been to four AEOE Conferences so far, and this year I am excited to step it up and present my first workshop. I love this conference because I get to reconnect and create new friendships with unique and passionate people who share my interests in nature and teaching. The feeling of being surrounded by those who share the same mission, outside of one's own organization, is powerful. I leave inspired and energized after a weekend attending workshops, sharing stories, and dancing the night away at the Saturday night event. I highly encourage anyone interested in teaching outdoors to attend so that you can take in the positive vibes of AEOE and walk away with concrete new lesson ideas and useful skills to use in the field. AEOE puts on three conferences a year, two that happen regionally in the fall (north and south), and one that is statewide in the spring. The spring conference is a place for creating bonds and sharing skills with other outdoor educators in California and beyond. It provides a variety of professional development opportunities for newly emerging naturalists and skilled program administrators through daytime workshops, an inspirational keynote speaker, and open space to build up community values. It is a jam-packed weekend dedicated to training educators with the knowledge and skills required for educating today's youth about the natural world. I love all the spontaneous things that happen at the conference and the way that the people who attend are up for anything. From early morning bird-watching to games of human-foosball, so many unscheduled and last-minute experiences make attending worth it for me. For example, at one conference there was a jam-session on Saturday night where we opened the doors to a patio and danced to the funky beat in the pouring rain. Afterwards, a group of us went on a barefoot night hike to the nearby pond where we jumped in for a midnight swim. We were a random group of new friends, who shared a unique experience that felt so right in that moment. I am so looking forward to making new memories this year. 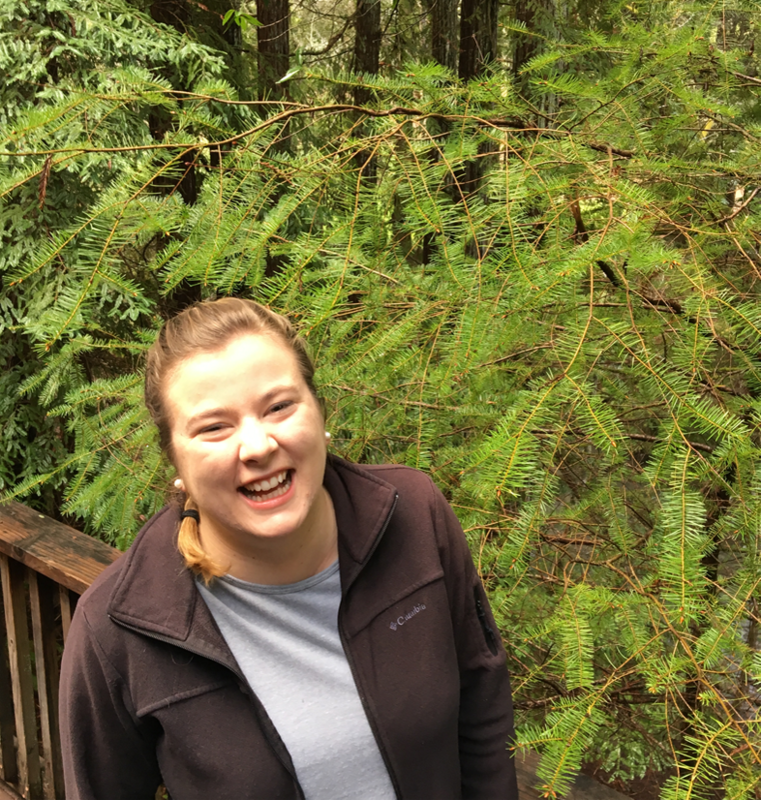 Olivia Longstaff, also known as Newt, is a Lead Teacher Naturalist here at Westminster Woods. This is her third year as an outdoor educator and her 24th year on this planet. She enjoys birdwatching, exploring the forest floor, and dancing in the moonlight. I was in 7th grade at Tierra Linda Middle School when I found myself crossing the Golden Gate Bridge on a bus headed for Westminster Woods. It was the first time my school had been to this camp, and we didn’t know what to expect. Two hours later we crossed another bridge over Dutch Bill Creek and arrived. It rained that week, and I was worried we wouldn’t be able to go outside on our adventure for the day. Instead, our teacher naturalists told us we needed to learn how to dress for the weather. We suited up and stormed into the rain (nowadays we lend all of our students ponchos). Braving the rain and realizing we could still have fun was one of the most memorable parts of Westminster Woods. While I don’t remember too many details of my trip, I remember that we were given the freedom to explore, encouraged to ask big questions, and celebrated for taking risks. I returned as a chaperone three times throughout high school. Each time I felt more connected to this place, but I didn’t leave Westminster Woods determined to return one day as a teacher naturalist. It was years later, under the exact right conditions that the lessons I learned at Westminster Woods began to bear fruit. Two years after graduating from college, I was on a beach in India when I decided that I wanted to return to California. I wanted work that was meaningful, full of surprises, and allowed me to be outside as much as possible. I realized with an uncharacteristic amount of certainty that I would become a teacher naturalist at Westminster Woods. Four years later, I am still certain that this was the right choice. What I teach reflects back on me. Each week I am inspired by my students. They show me that growth happens out of your comfort zone and that appreciating and caring for the natural world is a choice we can make every day. What a privilege it is to be a part of a loving and supportive environment that teaches the value and importance of working in community. Ten years later, Tierra Linda comes back, too. This past summer was my 8th summer working at The Woods. I often get asked by friends and family, "Why do you always go back to camp? Why don't you get a real job?" My first thought is usually, "Where else is it acceptable for me to run around the woods dressed up like a pirate?" While that is a great reason to work at camp, it is not my actual response to that question. The real reason I keep coming back each summer is because of the community that thrives within that forest. The intentional community creates a unique type of environment during the summers that provides a very special experience for all who are a part of it. There is something special that the summer staffers and campers bring to The Woods that allows such a community to grow and flourish. Much like the redwoods that surround us, we share a willingness to create relationships that go deeper, our roots and stories intertwining into a solid foundation that creates a support system rarely seen in the outside world. That very support system has helped me through many of the ups and downs in life and has always been there to support me through everything. This has led me to experience a tremendous amount of growth in both my personal life as well as my spiritual life. My faith started many years ago standing in the middle of the labyrinth one summer evening as a high school camper and has been growing and nurtured over the years largely due to this community. Many of the people I have met throughout my years at The Woods have become more than my closest friends: they have become my family. With every passing summer new friendships take root and sprout while the older ones continue to grow stronger and mature. The Woods has been such influential part of my life; the experiences I have had and the people I have met over the years have helped shape me into the person I am today. Many of the most important decisions of my life, such as what college I decided to attend and the career path that I am on, have been largely influenced by the summer community. If it wasn’t for this community I wouldn’t be anywhere near where I am today. The impact that it has had on my life is immense. Because of the tremendous amount of love and support I personally have received from this community, I feel that it is only natural to want to reflect that same love and support to others. I want to help nurture and provide a solid foundation for them grow so that they can have the best camp experience we can offer. The Woods is a "sanctuary for transformative experiences," and one of my goals in the summer is to help ensure that all who cross that bridge know that. The Woods isn’t just a place in the middle of the redwoods to me; it is a home. Within this forest people get to be who they really are and know that no matter what, they are loved and supported by the whole community. When they leave this place they are not leaving as friends but as family. And no matter how long it might be until they cross that bridge again, whether it be weeks, months or even years, they will always be welcomed home. No job gets any more real than that. When my mom told me I would be going away to a week-long summer camp when I was in 4th grade, my immediate reaction was fear. I didn’t want to leave my family and the comfort of my own home to stay somewhere so foreign to me with people I didn’t know. Nevertheless, my mom insisted that I go and try something new. I soon found myself at the beginning of a journey that would change my life. There’s nowhere else in the world like Westminster Woods, and that is what makes it such a special place. Where else can you spend a week dedicating all your time to fellowship, fun, and growing closer to God? I’ve met so many amazing, genuine people at Westminster Woods, and that is a big part of what brings me back year after year. I love the technology-free environment camp provides; it allows me to have real conversations with my peers and enables a certain closeness to form that I don’t have with my friends outside of camp. Some of the people I’ve met have become some of my closest friends, and I talk to many of them through social media on a daily basis. It’s astonishing how one week at the Woods allows me to develop relationships as intimate as some outside of camp I’ve worked to strengthen for years. I also enjoy the Christian community that comes together at the Woods and the feeling of mutual support while on our individual journeys of faith. The counselors and leaders are also an important part of the Woods and become role models for me as I try to navigate my own relationship with God. Westminster Woods wouldn’t be what it is without the crazy amount of fun that is had every summer. From night games to the hoedown, the whole week is filled with constant surprises and entertainment. Yet, there is a perfect balance between the fun of the camp and the real reason we attend. When you walk onto the Westminster Woods grounds you can immediately feel God’s presence, and you start to see God in everything you do and the people around you. Every morning, waking up, attending in•spire, and devoting that time to God is such a moving experience. Emmaus walks are another way that I see God throughout the week: getting to spend an hour with someone you barely know and learning about their faith story makes God that much more visible. 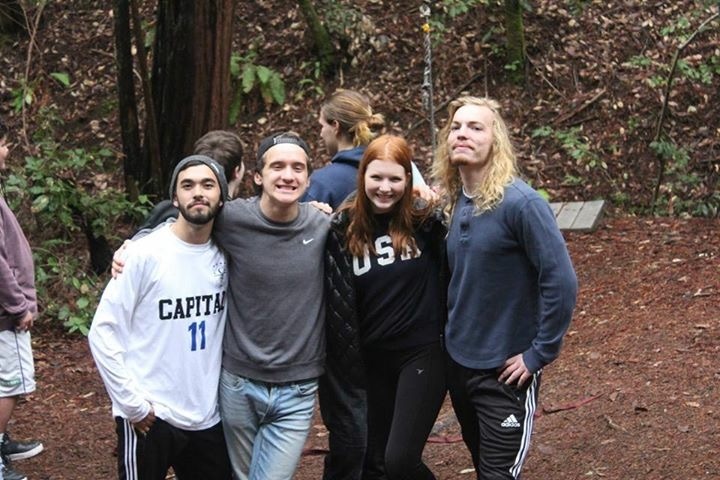 After eight years of attending summer camp and weekend retreats, Westminster Woods has become my second home and the people there, my second family. It’s the one place I look forward to going to the most in my life and the place I miss the most when I leave. With this upcoming summer being my senior year, it’s going to be so hard leaving somewhere that has played such a huge role in my young life. However, I know I can keep with me the friends I have made and the lessons I have learned from my times at Westminster Woods forever. 1. Science! Not only do our science blocks support Next Generation Science Standards, we also have two hands-on labs that prompt students to ask questions, look for patterns, and construct explanations about the world around them. Click to read more about our Microscope and Skulls Labs. 2. Social-Emotional Learning! 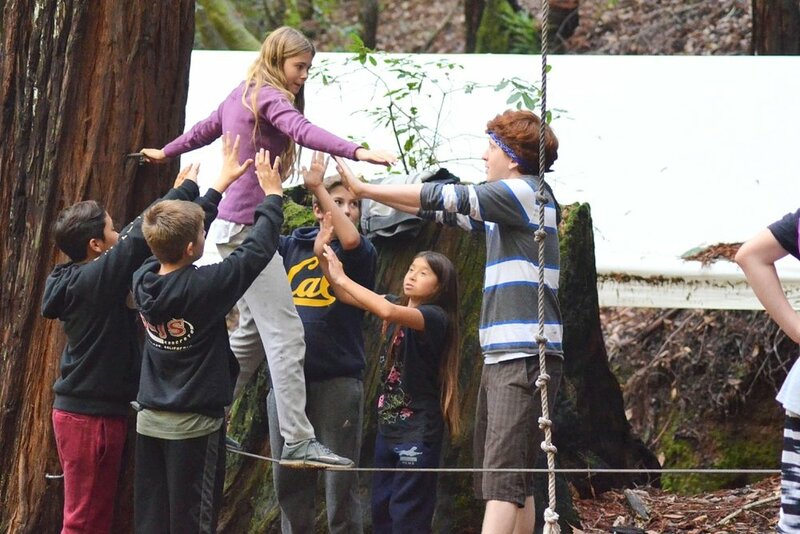 For over a decade, Westminster Woods has been dedicated to Social-Emotional Learning on our Challenge Course. Our facilitators are highly trained in leading students through fun and engaging activities that promote social and self-awareness and relationship skills. 3. Partnerships! Westminster Woods has a longstanding partnership with UC Berkeley’s Lawrence Hall of Science, creator of the cutting edge BEETLES environmental education curriculum. We are also piloting an evening program developed by the National Marine Sanctuaries and National Oceanic and Atmospheric Association. 4. Small Group Sizes! Students spend their time at The Woods in trail groups of 10 – 15 students. These small group sizes allow for individual attention, group cohesion, and new friendships. 5. Seasoned Teacher Naturalists! Our Teacher Naturalists are kind, inclusive, and have extensive post-college experience in teaching, science, and outdoor leadership. Every school year, we spend 10 days of staff development where we work to build community, learn new material, and stay at the forefront of best teaching practices. 6. See what’s to love in our new introductory video! 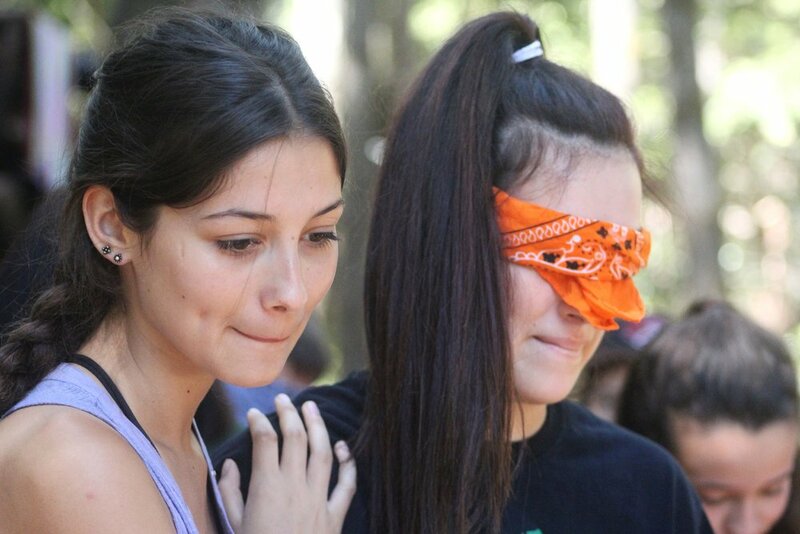 The Woods: Best Summer Camp in Sonoma County! We did it! 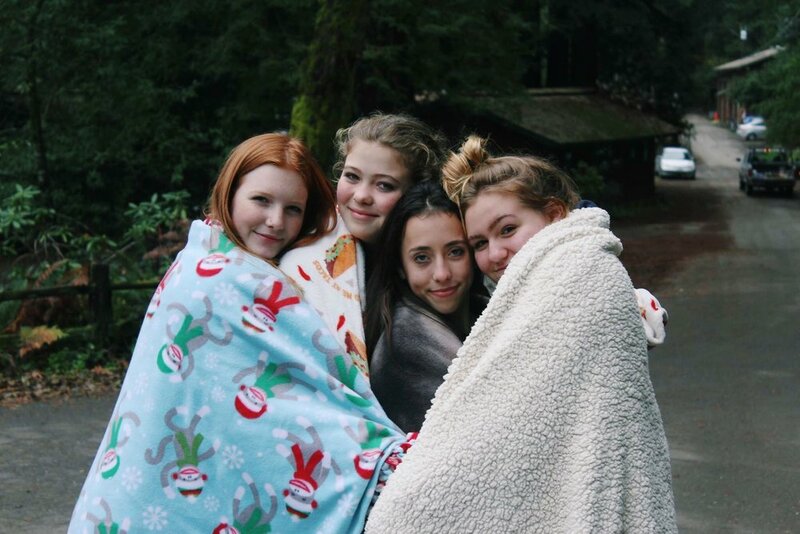 Westminster Woods was voted Sonoma County’s Best Summer Camp of 2018! Thank you to everyone who voted and to everyone who makes this place so special! We couldn’t do it without you. What this means for us: We will be attending the Press Democrat’s Best of Sonoma County awards ceremony in October and rocking our Best of Sonoma County badge with pride. Look for us in the Press Democrat’s Best of Sonoma magazine in October! What this means for you: Our award-winning programming runs year-round, with Camp in the summer, School Programs in the academic year, and Youth and Adult Weekend Retreats and Group Rentals throughout the year. Want to get involved? Check back soon to register for one of our Fall and Winter Weekends! And don’t forget to post your favorite photo on our Facebook page with #thewoodsisthebest. I’ve been trying to think about how to describe why I keep going back to camp. And it’s a hard thing to describe. The reason, I think, that’s it’s so hard, is that I don’t really ask myself anymore whether I’m going to go back to camp. Westminster Woods is simply the place that I go in the summers. The question has ceased to be whether and started to be things like when and how. To a certain extent, even the phrase “going back to camp” feels a little weird to me. I feel like a part of me is always there…or maybe like the Woods is a part of me. So I guess I keep going back to camp because that is a part of what makes me who I am. Of course, that is an enormously unsatisfying answer, so I’ll answer the related question: how did Westminster Woods come to be such an important part of my life and my identity? In addition to the connections I’ve made, Westminster Woods has also had a huge impact on forming the person who I am. Summer camp makes me unafraid to be myself, and eventually that started rubbing off on the rest of my life as well. When I was in elementary school I was a shy, awkward kid. I liked myself well enough, but I had very little confidence in social situations. By the time I got to high school, though, that had changed. I knew who I was, was proud of who I was, and even had the confidence to join the improv club, an act which involved literally putting my oddities on display. I attribute much of that change to my time as a camper here. The message given at the Woods is that you can be silly, you can be unusual, you can be yourself, whoever you are. And no matter what, you are loved, you are welcome, and you are a valuable part of the community we are building. This comes through in everything from being asked for your input in cabin talks to playing games where your counselors (unquestionably the coolest people at camp) are making absolute fools of themselves…and loving it. This gave me the confidence to be open, real, and unapologetic about who I am, and that confidence gradually shaped me in the rest of the year, as well as when I was at camp. Camp didn’t just help me be myself, though. It also helped me be my best self. It helped me remember what is truly important: being kind to the people I’m with, striving to have more empathy for everyone, and being a reflection of God’s love in this world. That is a journey I will never be done with, and my time at the Woods always helps me refocus and recognize that that is the center of my life. Not money, not leisure, not even imparting knowledge to my students…it’s love that defines who I am and how well I am living. The community at the Woods makes it easy to remember that and has an explicitly stated shared understanding of the importance of truly loving everyone around us. So that is what makes Westminster Woods so central in my life. It has people that have become a family to me, it helps me be true to who I am, and it helps me change who I am to be better and better. And every time a new camper comes across that bridge, my hope is that they will experience those things too. Vote for The Woods as the Best Summer Camp! 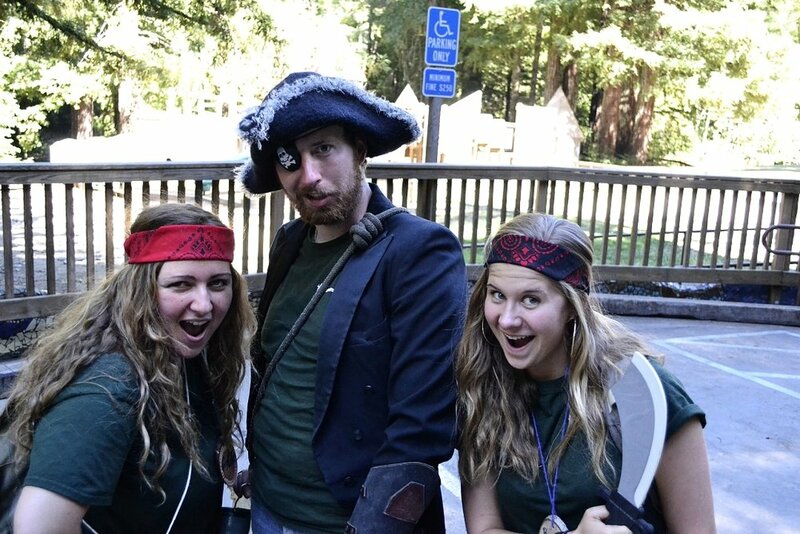 Westminster Woods has been nominated as the Best Summer Camp in Sonoma County! The readers of the Santa Rosa Press Democrat have chosen Westminster Woods as one of the Top Summer Camps in their annual Best of Sonoma County awards! We already know why we're great -- help us tell everybody by voting today! 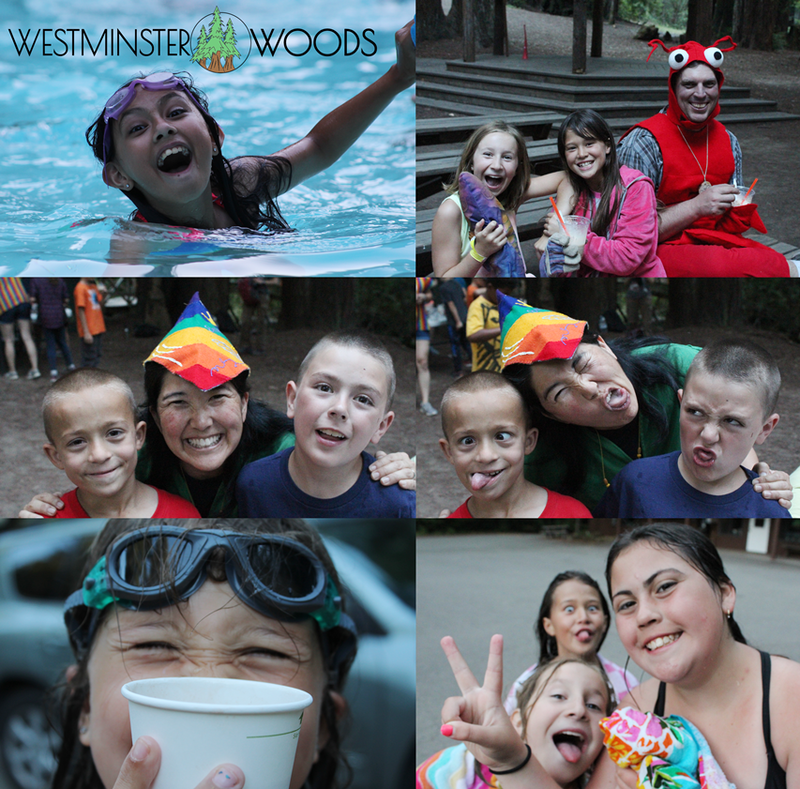 Click here, scroll down to "Best Summer Camp" and choose Westminster Woods! Help promote The Woods by helping us win! 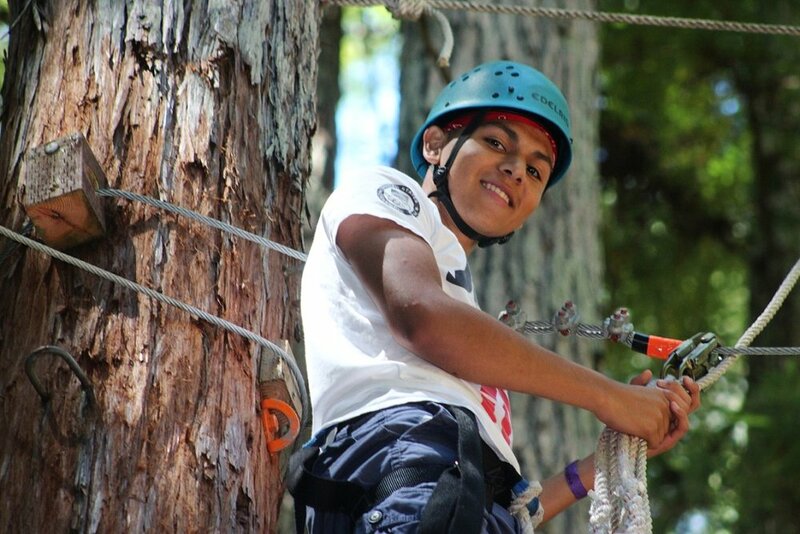 Aside from offering outstanding camp programs for kids and teens from 2nd-12th grade, Westminster Woods provides training for teens and young adults to take on leadership roles at camp and in their schools, churches, and communities. And every summer we host Friendship Camp for adults with developmental disabilities -- a fantastic opportunity for these campers to spend time outdoors and in community with our staff and each other! 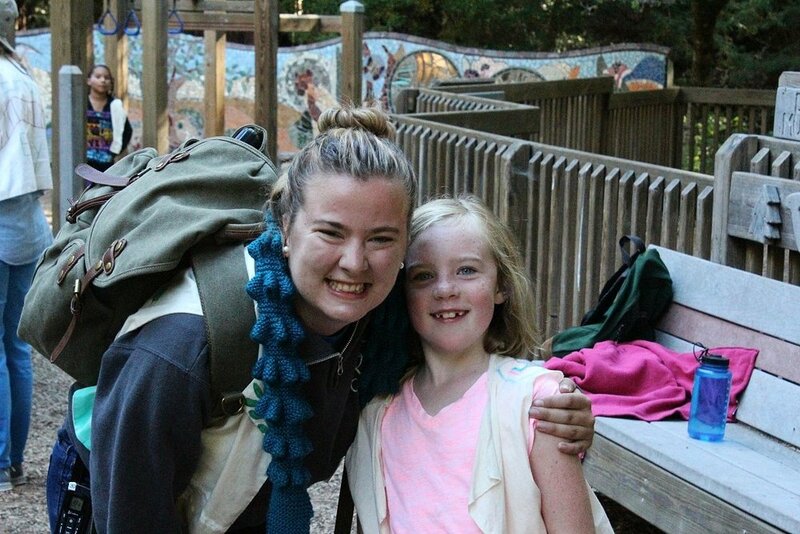 Knowing that many families find the cost of sending their child to camp to be challenging, Westminster Woods has a three-tier, “free-will” fee program, in which parents can privately choose the level that is comfortable for them to pay. We also provide extra "Campership" help for those kids or teens in our communities who may be unable to come to camp because of finances. In addition to our fantastic Summer Camp, The Woods also offers our renowned School Programs to foster the development of character, community, and science literacy in students through experiential outdoor education. And we host Guest Groups from all over California who rent our facilities for retreats, family camps, or group getaways. For these and countless other reasons, we're proud of what we do and proud to share the good news with the rest of the world! Encourage your friends and family to vote for Westminster Woods today! It was an exciting school year at Westminster Woods! 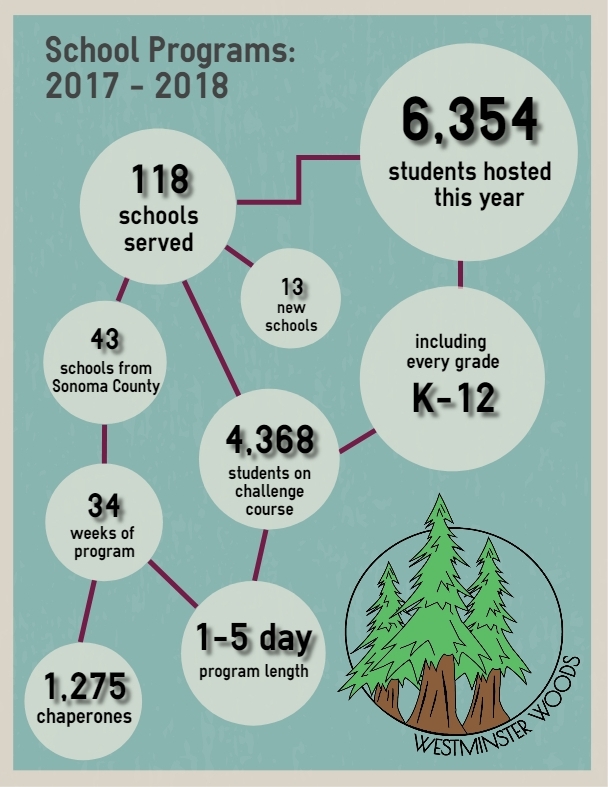 Our exceptional staff of Teacher Naturalists served more than 6,300 students from 118 different Northern California schools. More than two thirds of our visiting students had the opportunity to get up in the air in our high ropes challenge course. Thanks to the support of the Margaret V. Ping Foundation, we opened the doors to two brand new indoor laboratories: Many students explored the structure and function of animal bones in our skulls lab, and others got a close look at the invertebrates they collected from Dutch Bill Creek in our microscope lab. We are so grateful for the amazing classroom teachers and school administrators who coordinated these programs on behalf of their school communities and the 1,275 chaperones that joined the students on campus. Check out the infographic below for more information about the School Programs impact for the 2017-2018 school year. If you are a classroom teacher looking to reserve a program next year, please inquire here. Have you ever seen a dog beach? A stretch of sand with waves crashing, dogs barking, balls hurtling through the air. Dog beaches are THE place to witness pure joy, playfulness, and overall freedom. For me, Westminster Woods is my dog beach. I’ve been coming to camp since I was an adventure camper. For some reason, one of the most clear memories I have from that first camp experience was that they had “Very Berry Kix” cereal for breakfast. For a kid from a shredded wheat family such as myself, eating colorful sugar laden breakfast cereal was a big deal. It was new and exciting and strangely liberating. So was sleeping in a tent, meeting “jungle people”, exploring the forest- all without my parents. Like a puppy being let off the leash for the first time, I had a taste of freedom. As I grew older that freedom I found at camp seemed to have a deeper meaning. Westminster Woods became a place where I could truly be myself. As we all know, middle school is tough. I spent so much time trying desperately to fit in, be cool and make friends with the right group. But at camp none of that existed. I could dance and sing and be goofy. The environment was welcoming, the people were inviting and the energy was palpable. 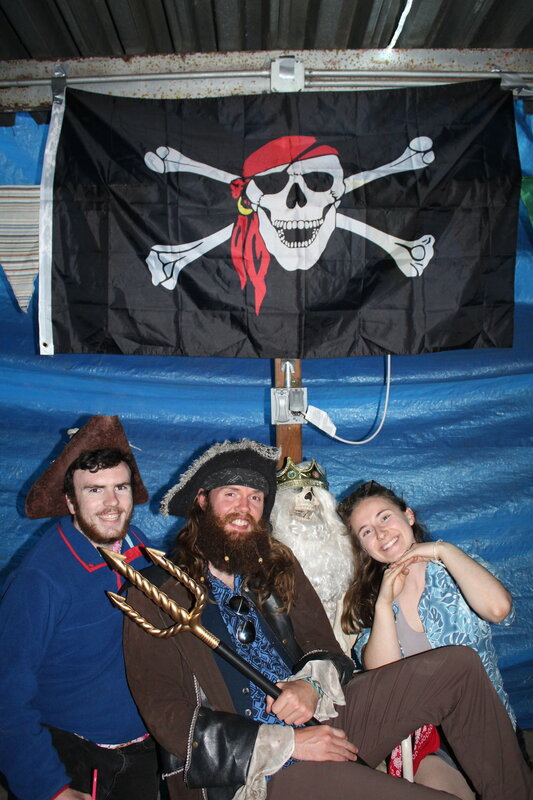 I still remember how a week of sleeping under the stars, taking minimal showers and searching for buried treasure in Buccaneer camp left me feeling enlightened. Just like a dog on the beach jumping around clumsily, tongue lolling, tail wagging. I was free to be me. That sense of freedom has transformed once again as I reflect on my more recent camp years as a staffer. This time I have found freedom in my faith. Westminster Woods is a place where I’ve always felt safe to speak honestly about my relationship with God, share my beliefs, be open with my struggles and even express my doubts. Being able to be vulnerable in this way has helped me to grow as a Christian. Having the freedom to explore, challenge and dive deeply into faith in a supportive community has been an incredible experience. Like a dog that bounces through the surf out into the ocean to fetch his toy, he’s paddling through the waves, gets pummeled a bit but makes it back to shore where his owners are waiting with open arms. It’s the freedom to leave the shore, do some searching and return to a support system that will welcome you AND challenge you to do it all again. So for me, I come back to camp for that sense of freedom. The off the leash, tongue out, fetching after toys type freedom. If you haven’t done so yet, I highly recommend you experience this at Westminster Woods at your earliest convenience... or check out a dog beach. Preferably do both then you’ll see what I mean. I had felt lonely and sad for a while. It was the summer before my sophomore year of high school and I wasn’t doing much with myself. My mom signed me up for a week of High School Camp at Westminster Woods and I was excited, but nervous to go. I hoped to meet some nice people, but I just wasn’t sure what to expect. 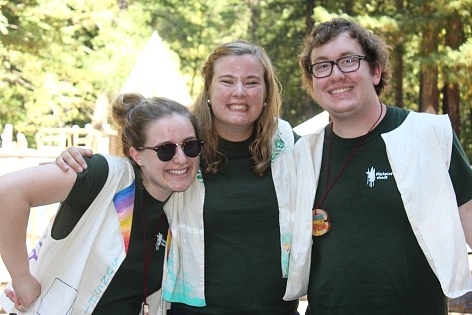 When I got to camp, I was startled to walk out of registration and have strangers dressed like X-Men yelling excitedly, “WELCOME TO CAMP!” I felt overwhelmed when I sat down in my cabin for the first time and one of my cabin counselors prompted, “so tell us the story of your life!” I brushed the question off, because I was so unsure of myself and had such a negative self-image. I had never before experienced such real love and joy from people I had just met. I remember getting in the car when my mom picked me up on Saturday morning and I wanted to tell her every joke I had laughed at, every game I had played, every friend I made, and everything I had learned. I had gotten a glimpse that week into something different than I’d ever experienced. Camp was a special place because it helped me to feel happy when I hadn’t in a while. It helped me to make friends and feel comfortable in my own skin. It helped me to see that regardless of how I viewed myself that people saw value in me and that I was beloved. So I took every opportunity from then on to be at camp. I went to Decemberfest, did Bridge, counseled, went to High School Camp, and repeat. Being at the Woods broke down my walls that I had built from shame and feelings of inadequacy that kept me from others and kept others from me. Losing these walls forced me to face how I felt so broken and incomplete and unlovable. But receiving the space to express all of these things did not push people away, but brought them closer. God was using this space to knit me back into the person I was supposed to be, a person who struggles still, but a person who is ultimately happy and knows they are loved. Then, in 2011, I applied for summer staff. In my head, I had a very specific plan for how I would ideally do staff. I would do it for my four years of college: I would like to be a Lead Counselor and coordinate program. But of course, things didn’t go exactly as planned. But, also of course, they’ve been so much more amazing than I could plan. I couldn’t ignore the tug of staff and have done seven years and counting. Over this time, I’ve been blessed with so much: I can’t count the times I’ve laughed until I’ve had tears, stomachaches, or until I can’t stand. I’ve have people believe in me enough to give me chances to lead even when I didn’t think I was capable. I’ve also had to opportunity to follow some incredible leaders and learn from them how to be an organized, compassionate, and thoughtful leader. I have had times to be real and raw with others about my fears and for other people to accept those parts of me and for me to not feel alone. I’ve built amazing friendships that are ones that pick up without skipping a beat every summer. The friends that I’ve made from staff also compose most of my friends when I’m not at camp. I’ve also been able to build relationships with campers who come year after year. Through all this, my time on staff, I have gained the knowledge that I am braver and stronger than I ever thought I could be. I’m not really at the end of my camp story just yet, just at the end of the story so far. There’s a certain spot on the drive to camp, a right turn onto Green Hill Road. Every time I drive past this point, it feels like heavy blankets are being lifted off of me. That turn tells me that I’m close to camp, a place that is safe and happy. It’s hard to stay away from that feeling for too long. I’m so excited to return this summer for year eight of staff! I’m a lot less lonely and a lot less sad then when I first came to the Woods, but I’ve learned that doesn’t mean that I can’t feel that way sometimes. Those feelings are a part of being a human and what we do with them is very important. Camp at Westminster Woods has formed a foundational part of who I am: My friends out in the world are the ones who I met on staff. So much of what I do as a classroom teacher is influenced by what I learned from coordinating program at the Woods. When I had to evacuate from my home because of wildfires, camp was the safe place that I went. I keep coming back because camp is a place that is safe, joyful, and makes me feel whole. I also keep coming back because I feel like I still have something to contribute, something that was given to me when I first came to camp. I come to camp with the hope that campers can also see that they too are beloved. The new lab is a powerful addition to the hands-on curriculum that is the backbone of our Forest Ecology program. Forest Ecology is grounded in Next Generation Science Standards and experiential learning. In the lab, professional Teacher Naturalists engage students in a structure and function lesson where students identify skulls by making close observations and asking questions. With so many skulls to explore, students may marvel at the jaw strength of a sea lion, compare the sharp canine teeth of a coyote with the molars of a deer, and explore the difference in scale of a mountain lion versus a bobcat. Students may make observations about the size and length of the nasal cavity of a black bear compared to a striped skunk or the optical orbit location of a mouse compared to a great horned owl. The lab is already a big hit with students who love being able to carefully handle the skulls themselves. And at the end of a day of hiking and learning about the forest, many students share that their visit to the skulls lab was the highlight of their day! Many thanks to the Margaret V. Ping Foundation, Michael Roa, and Valley Anatomocal Preparations, for making the dream of the skulls lab a reality! We are thrilled to share the new skulls lab with many of the thousands of students that attend our School Programs each year. I have come to camp every year ever since I can remember. It has always been the place I imagine when I’m told to go to my “happy place”. I imagine strolling down Nazarian Way beneath towering trees, and holding a glass mug filled with warm tea. The plum trees along the side of the road are blossoming and there are kids yelling and screaming all over the big green field, in the gaga ball pit, and on the playground. Laughter is everywhere. This is where I’ve spent a lot of my life growing up. I’ve gone through grief, joy, friendship, and frustration; all of it here. When it was all too much, there was always someone waiting to listen. When the joy was too much, there was always someone to laugh with. Camp for me is a sense of belonging to a group of people called “camp people”. We’re teachers, pastors, students, and really anyone with a heart full of love. Summer Staff is about sharing the threads of your life with a group of people for 6 weeks and weaving something beautiful. But the skills we learn, the people we become, the courage we store up; it doesn’t all stay here when we leave. We take our experiences working with different age groups, abilities, cultures, and ways of thinking into the real world with us. That’s why I keep coming back: to kindle the same spirit in the lives of every camper I come into contact with. To encourage them to keep coming back and learning more about themselves and God, and what it all means in the real lives we live. As great as a week at summer camp is, we spend most of the time trying to prepare them for when they leave. We try to give kids a real, honest, and practical Christianity that they can understand in the context of their daily lives. When I graduated high school and left the day after my ceremony to show up for our Summer Staff orientation week, I was incredibly excited but really nervous. Did I really have what it takes to be a summer staffer? There was no question in my mind that this was how I wanted to spend my summer. But, I didn’t know what it was like to spend 5 weeks straight doing camp. Would I be able to counsel all different ages? 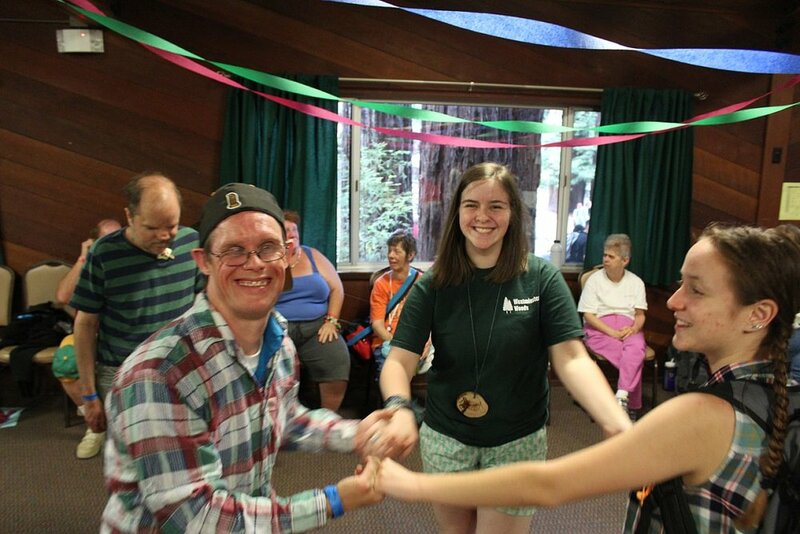 What about Friendship Camp, our camp for developmentally disabled adults? Would I be patient, responsible, and sensitive enough for their needs? My first Friendship Camp came and while there were hard moments, it was all worth it because friendship campers are filled with joy! While all campers have struggles, not every camp has this unbridled sense of happiness and belonging. That week I learned that the secret to Friendship Camp was love. Over two years after my first summer on summer staff I was flying to California for a part of my winter break from college. I noticed one of the passengers on my flight was guided over to his seat and he was talking loudly to his attendant. I recognized a lot of his language patterns, like when he got stuck thinking in loops, “I get off the plane in San Fransisco, right? I get off the plane in San Fransisco, right? Then I get on the plane to Houston to see my brother? Then I get on the plane to Houston to see my brother?”. The passenger reminded me of my friendship campers: I thought there was a strong possibility that this man had some sort of developmental disability and he was being cared for by the airline attendants. It wasn’t any of my business, but I was surprised that I hadn’t ever remembered seeing an adult with developmental disabilities flying on a plane by themselves before. I went to use the restroom before the plane took off and through the thin plastic wall of the airplane bathroom I could clearly hear sobbing. I washed my hands and left the bathroom. When I turned the corner I noticed a flight attendant comforting the man, “It’s okay, Evan,” I heard in passing. He was clearly upset, and I knew that having a buddy sit with him might help with the anxiety that may come with flying. When the flight attendant passed me, I pulled her aside, “Hey, I don’t know if this would be helpful, but I’m trained in working with Developmentally Disabled adults, its part of what I do during the summer, and if you’d like I’d be happy to sit with Evan and see if I can cheer him up!”. All my words came tumbling out of my mouth. I was nervous. I didn’t want to seem like a know-it-all and impose, but I did want to help if I could. The stewardess jumped at my offer, “If you wouldn’t mind that would be so sweet”! She began to tear up, “He has had such a rough morning”. As I moved my backpack and myself to the back of the cabin and sat with Evan, I wanted to get to know him. I introduced myself, and he returned the favor. As I asked Evan questions about his life, I told him about mine. When we took off, I told him that it was just like a roller coaster, “We’ll go really fast at first, but then fast will feel normal. There might be some bumps, but the pilot is the best pilot in Alaska Airlines whole fleet, so he’s got us covered”. The rest of the flight was smooth sailing. When I read, I looked up from my book every couple minutes just to double check that all was merry, but Evan had quelled the sadness within him. The only thing he asked me for was help opening his coffee cup because the lid was too tight! The rest of the flight went easily, including the surprise turbulence and the roller-coaster hands-up landing! Sitting with Evan was no big deal, and it allowed me to truly be present on a plane ride I probably would have wasted otherwise. However, such a simple thing as sitting with someone wasn’t so easy for me two years ago. When I graduated from high school, I no doubt would have had empathy for Evan, but I don't think I would have been comfortable or courageous enough to offer my services to go sit with him. Working at The Woods gave me those things, but more importantly The Woods gives similar experiences, skills and courage to everyone who sets foot across the bridge. Camp gives us the ability to go out into our communities and change them for the better. So yeah, summer camp is exhausting but there is also this feeling that no matter where we came from, who we are, or who our parents are: we all are God’s children. This is what is so crucially electrifying about Christian youth ministry. Christian ministry is about creating a family of fellow believers, of people trying their best. We walk with each other so that nobody has to walk through life alone. We are eternally grateful for the support we receive from the amazing Westminster Woods community. It is because of all of you that we are able to provide a wonderful facility and quality programming to schools, churches, guest groups, families, and everyone in between. In this brief report, we have exciting news to share, and a summary of 2017 finances. First, our School Programs department, which provides thousands of students each year with outstanding character development and science programs, received generous support in 2017 from the Margaret V. Ping Foundation and other donors, for a brand new microscope lab and a skulls and skins lab! These two labs, created to support our teaching of Next Generation Science Standards, have already been a hit – students have been able to discover a whole new world within natural objects they observed while hiking and exploring throughout The Woods. We have long wished to upgrade and remodel our camp cabins with added bathrooms, but the limitations of our septic system have stood in our way. After four years working with a specialist to develop plans to upgrade our system, the plans have finally been approved by Sonoma County! We have three years to complete the septic work, but we can begin with a model cabin or two as soon as this year. Our community’s continued support will be as important as ever, with plans to keep upgrading cabins until the job is done. Here’s to the future of The Woods! We have a few big 2018 events to announce, starting with Westminster Woods Friends & Family Summer Camp, which will be Tuesday, July 31st – Friday, August 3rd! This all-new camp program will be run by our Ministries and Summer Staff Leadership Team. We invite all friends of the Woods, including families, grandparents, individuals, and former staffers to join us. Registration coming soon! The all-new Ocean Trek fundraiser will take place on Saturday, September 29th – a 13-mile hike from The Woods to the Sonoma Coast! In conjunction, our Weekend at The Woods will be September 28th-30th – families, couples, friends, and singles of all backgrounds are welcome for swimming, Challenge Course, hiking, games, campfires, and S’mores! Details about all of these events will be shared via email, social media, and our website – stay tuned for updates! In the meantime, thank you for your continued support of our mission and goals. Please refer to the Give Back page of our website for donation options. Westminster Woods is growing stronger – financially and overall – thanks to the dedicated efforts of our staff and board, and the faithful support of our donors. We ended 2017 with a net revenue of $97,000 over expenses. These funds will largely be used toward upgrading our septic system and remodeling cabins, which should help increase our future revenue! We encourage you to make supporting our camp ministry a regular part of your planned giving. Regardless of whether you contribute monthly, quarterly, or annually, your tax-deductible gift will make a difference in the lives of kids, teens, and adults, in 2018 and for years to come. Here’s a glance at our 2017 revenue sources and how our expenses were allocated. Note that revenues from our renowned Challenge Course program are included under income for School Programs, Guest Groups, and Ministries. 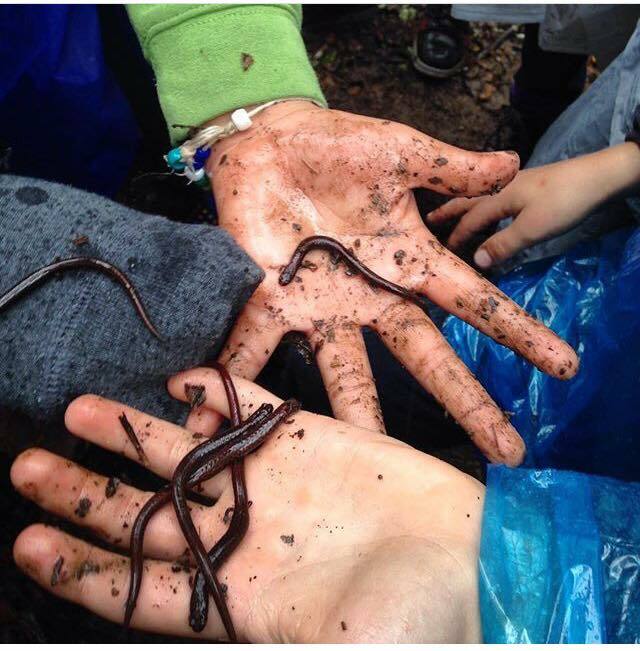 Westminster Woods School Programs “fosters the development of character, community, and science literacy in students through experiential outdoor education.” During the fall of 2017, School Programs provided programming to nearly 2,500 students from 50 different schools! From the first week of September through the middle of December, students came to The Woods to participate in forest ecology hikes, watershed ecology studies, and challenge course experiences. Whether they were studying macroinvertebrates in our brand new microscope lab, working together to solve team challenges, or singing songs around the campfire, students were able to connect with their classmates and learn about their natural environment in an exciting camp setting. Check out the School Programs infographic below for more data on the reach and impact from fall 2017!